Become a leading innovator in crop protection chemistry discovery and development that utilizes systems design principles to maximize resource efficiency, eliminate or minimize product hazards to create durable solutions for agriculture productivity. The Food and Agriculture Organization of the United Nations estimates that 20 to 40 percent of global crop yields are lost each year due to weeds, insects, and diseases. Insects reduce crop yield via their direct consumption of plants and through the transmission of plant diseases (primarily plant viruses). The damage created by insect feeding can also provide a route of entry for fungi that produce toxic compounds and thereby decrease the quality of the crop. In the US for example, insecticides are used to protect crops on approximately 45 million acres and it is estimated that if left untreated, yields would decrease by 40-50%. Disease caused by plant parasitic fungi can impact crop yield before and after harvest. Outbreaks of disease caused by plant parasitic fungi have changed history (e.g., the Irish potato famine caused by Phytophtora infestans). Fungicides are a critical tool for protecting plants from fungi and it is simply not economically feasible to grow many crops without their use. In the US for example, the yields of most fruit and vegetable crops are increased by 50 to 90% through the use of fungicides. Jacqueline is founder and CEO of Enko Chem Inc. and a Venture Partner at Anterra Capital. She has a PhD in Biology from Boston College and an MBA from MIT Sloan. Her career in Agriculture has centered around the support of innovation in the sector by identifying and commercializing new technology, both as an entrepreneur at start-ups like CiBO Technologies and Mendel Biotechnology, and as a leader of global R&D and investments at Monsanto, Flagship and Two Blades Foundation. She was instrumental in starting Monsanto Growth Ventures, setting up the corporate venture arm of the world’s leading agritech firm. 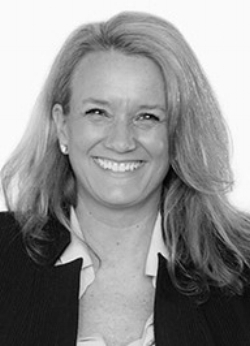 Jacqueline has served as an active Board member for her portfolio companies, and forged new open innovation structures for the industry by creating new companies like Nimbus Ceres Discovery and Preceres to develop novel Fungicide and RNA formulation assets using capital efficient, semi-virtual models. Tom has over 21 years of experience working in the agriculture industry with a focus on the discovery of novel crop protection traits and chemistries. He began his career at Mycogen discovering insect resistance traits and broadened his scientific and leadership responsibilities to include insecticide discovery when Mycogen was acquired by Dow. Tom made direct contributions to many successful discovery efforts during his tenure at Mycogen and Dow AgroSciences that resulted in commercial traits (WideStrikeâ cotton, Herculexâ corn, and Conkestaä soy) and an insecticide (Isoclastâ active). Through leadership positions in both crop protection chemistry and traits he has broad experience in the discovery and development process. 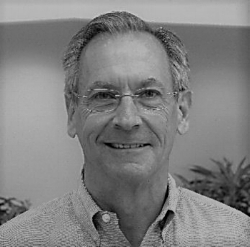 Tom was most recently the Global Leader for Trait Discovery at Dow AgroSciences before accepting the position of CSO for Enko Chem Inc.
Stephen Powles received his Master’s Degree in Crop Science from Michigan State University and his Ph.D. in Plant Biology from The Australian National University. Stephen is a Professor at the University of Western Australia and serves as the Director of the Australian Herbicide Resistance Initiative. He is an internationally recognized authority on all aspects of herbicide resistance where he has worked for almost three decades, leading the world-class research team. His expertise ranges from the fundamental science on the evolution and molecular basis of herbicide resistance through to applied agronomic research and management. Prof Powles has strongly influenced Australian and international thinking on sustainable herbicide usage by reducing herbicide reliance and increasing diversity in agro-ecosystems. He is a Fellow of the Australian Academy of Science and the Australian Academy of Technological Science & Engineering and has published close to 200 papers in international research journals. 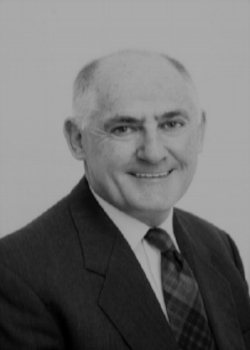 Among is many accomplishments, his honors include the Centenary Medal by the Australian Government for his contributions to society, and the GRDC Seed of Light award for his research and communication with Australian grain growers. Enko Chem is a venture-backed start-up in Boston MA committed to addressing the needs of a growing world population by advancing the discovery and development of new crop protection chemistries. We are establishing a core team of scientists who will collaborate internally and externally to move discoveries from the laboratory to the field. If you or someone you know is interested in working at Enko Chem, please send your current CV in pdf format to careers@enkochem.com.